The Bulgarian Parliament accepted changes in the Tax Law, which will make the corporate tax rate only 10 % from January 1st, 2007, when Bulgaria joins the European Union. This makes Bulgaria with Cyprus have the lowest corporate tax rate in the EU. "Труд", 07 февруари 1999 г.
Veni Markovski has graduated law, but before that, back in September 1990 he started his work on the Internet, as a system operator of the first Sofia-based bulletin-board system, part of FidoNet. In 1995 he co-founded the Bulgarian Internet Society, a non-profit, of which he serves still as President and chairman of the Board. In 1999 ISOC-Bulgaria sued the government over the imposed licenses for the Internet service providers, and later through his active work, Bulgaria accepted the most liberal Internet-related laws. In March 2002 Mr. Markovski was appointed as the Chairman of the Bulgarian President's IT Advisory Council, a position he held until the President stepped down from office at the end of his second term on January 22, 2012. In 2005 he was invited to be the senior international projects adviser to the chairman of the governmental Agency for Information Technologies and communications, a position that he held until 2009. 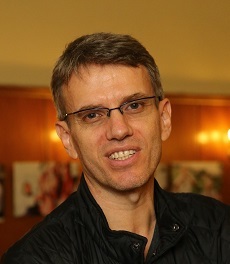 As of March 2014 Mr. Markovski is the ICANN vice-president, responsible for the relations with the United Nations, the UN Agencies, and the Permanent Missions to the UN in New York. Since the beginning of his carrer, Veni has been involved in different international organizations and programs on different levels - as adviser, senior adviser, advocate for policy changes, mediator, board member, etc. He has served on the Boards of CPSR, ISOC, ICANN, New Symphony Orchestra among others. Widely recognized as a computer geek and expert in cyber, Mr. Markovski is a frequent speaker at international conferences, and is often being approached for advice by companies, organizations, and governments. He is author of one book, "Caught in the Net" (2018, Sofia University Press). Read more about what he does at the current work page.